One in five fatal car crashes involves sleep-deprived drivers, according to AAA. “Naps are not just for babies,” said Jake Nelson, AAA’s Director of Traffic Safety Advocacy and Research. “If we’ve earned only four or five hours of sleep in a night, the odds of you getting into a car crash are the same as driving legally drunk due to alcohol,” he adds. 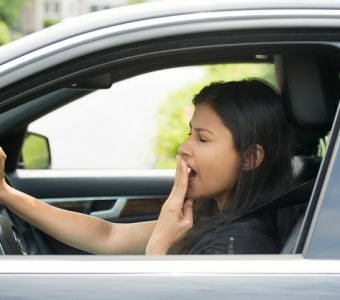 No one was particularly surprised that driving sleep-deprived increased the risk of a crash, but researchers say they were shocked at the impact of missing just one hour of sleep a night. The study found that falling one to two hours short of the recommended seven hours of sleep per night doubles the chances of getting into a car accident. But don’t just take their word for it: a small 2009 study looked at the difference in sleep quality for 59 healthy men and women who slept on their old 9.5-year-old mattresses for 28 days, and then on brand new mattresses for the same duration. Researchers concluded that the new beds resulted in a “significant decrease in stress” – including worrying, racing thoughts, nervousness, irritability, headaches, and more. With 13 Portland-area locations, Mattress World Northwest is Oregon’s top source of mattress deals. Sealy, Simmons, Englander, Aireloom – we have many different models from the leading brands. Our Sleep Specialists are well-versed in all the specifications to help you make an informed purchasing decision based on your unique comfort preference and needs.